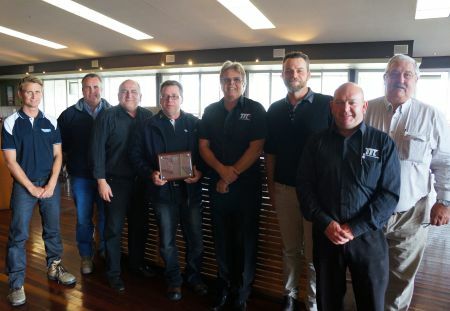 A celebratory luncheon with Hutchinson Builders was held on Wednesday 15th July to honour over 20 years in business together. Team Transport attributes its 20+ years of success to delivering results and building strong friendships with one of its valuable clients, Hutchinson Builders. From left; Adam Munro, Josh Darby, Peter Koris, Tim McGregor (receiving plaque), Steve Skinner, Glenn Rumph, Brett Seers and Rowley Prentice. 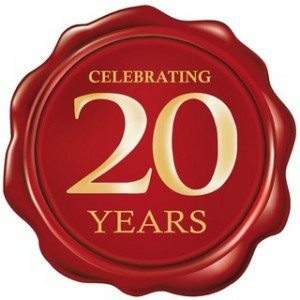 July 2015 marks a milestone for Team Transport & Logistics as we celebrate 20+ years of delivering transport solutions for Hutchinson Builders. Hutchinson Builders have utilised our services for their Brisbane/Inner City projects to remote area projects like Gove, Tenant Creek N.T and Central Qld Mines through to projects such as the QR Project replacing every air conditioner on each QR site in Queensland. Combining our local expertise and line-haul agency network we can cover all remote area’s to transport portable buildings; site offices, huts, lunch rooms, containers, scaffolding, fencing, pallets, hire equipment, general freight and just about anything that requires to be moved including complete camp shifts. From small utilities and semi fork/crane trucks through to road trains; Team Transport has been proud to offer cost effective transport solutions to one of the finest and friendliest building and construction companies in Australia. As one of Hutchies slogans suggest “Built on relationships” I think this truly reflects the values of the people that work for both Hutchinson Builders and Team Transport & Logistics. On behalf of the entire team at Team Transport we would like to thank Hutchinson Builders for their loyalty, spirit and business over the past 20+ years and we look forward to continuing to work with you to help your business go further, faster for decades to come. Thank you to the team at Hutchinson Builders for the past 20 years! We value your patronagew & appreciate your support. to the next 20 years together!